BEST GOVERNOR: Haley Barbour may have ridden the GOP machine into town, but he's got a long way to go before he can take over the throne of Governor Emeritus William Winter. Winter was honored yet again for his contributions to Mississippi—which meant meeting race and education problems head-on—when the new William F. Winter Archives and History Building was dedicated on a chilly Friday afternoon. After Archives director Elbert R. Hilliard thanked everybody and his uncle by name and Lt. Gov. Amy Tuck stood up to tell us the importance of the state's history (ahem) and Gov. Ronnie Musgrove reminded us what he has done for the state, author and journalist David Halberstam took the podium, calling Winter "my hero," who had shown "faith in the nobility of ordinary people." … SHIFTING SANDS: The owners of Club Crazy 8 in Byram are moving to town. This month, they open 105 Capitol, a dance club and sports bar near the corner of Capitol and Farish, the intersection of black and white city activity in its previous life (before someone tore down "The Block" of Farish to put up a parking garage.) And Gallery 119, owned by local man-about-town James Patterson, has moved from downtown to Fondren where he is set to share the old Treehouse space with the new Article, the mod-furniture place that is also crossing County Line Road in a direction we like to see. The opening of 119 happened at Fondren Art Mix on Nov. 6 and was loud and proud. Now, if we could just get a Caribbean restaurant in that now-empty downtown space. Hint, hint. … PAINFUL TRUTHS: The second annual Jewish Film Festival was a huge hit this year with some breathtaking films including Oscar winner "Nowhere in Africa" opening the festival (rent it or see it at the USM International Film Fest, Nov. 20-22; call 601-266-4283 for date and time). But the last night was perhaps the most poignant with the short 1945 Frank Sinatra film, "The House I Live In," opening with a rather sappy story about Sinatra trying to teach a group of young white boys picking on a Jewish boy about tolerance by singing to them. The reason for its inclusion became clear during the documentary "Strange Fruit" about the Billie Holliday song of the same name—a powerful anthem for black freedom that described a lynching in a poplar tree in crystal-clear detail. The song was written by Jewish activist and teacher Abel Meeropol, who also wrote the song for the Sinatra film. But, the film reveals, the studio had left out the verse about a black and white living next door to each other, much to Meeropol's distress. When he saw the film for the first time, he yelled, "Sh*tttttt!" and ran out of the theater. Local diva Lisa Palmer, who is Jewish, gave a haunting rendition of the song before the film, accompanied by Josh Wiener on piano. Memorable. … WITHOUT SANCTUARY: The film "Strange Fruit" mentioned the "Without Sanctuary" exhibit of powerful photographs of actual lynchings and the party atmospheres that often happened around them. The controversial exhibit is coming to Jackson State University in January. 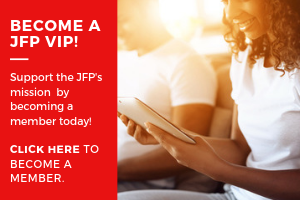 Watch the JFP for more details. … GANDHI AT MILLSAPS: The state's Indian community is giving a statue of Mahatma Gandhi to Millsaps College in recognition of the college's support of its Indian students. The full-size bronze shows Gandhi at the Civil Disobedience March of 1931, which was the beginning of the end of the British Empire and the occupation of India. The statue is being flown to Jackson later this month from India and will be unveiled on Nov. 22. … WE LOVE EDDIE: Famed photographer Annie Leibovitz also loves Eddie Cotton. The very photogenic blues singer and Jacksonian is featured in the latest issue of Vanity Fair magazine and in her new book, "American Music." … READY, SET, GO: The Mississippi Press Association and The Clarion-Ledger are sponsoring a workshop for high school journalists this week—but pointedly refused to allow other local journalists (like the JFP) to speak to the students about careers, or provide newspapers. No word on whether the meaning of "civic journalism" will be discussed. … TWO LAKES DOOM? The Rankin-Hinds Flood Control District and the U.S. Army Corps of Engineers have agreed to fund a two-and-a-half year study of the proposed Two Lakes Project, the dream that would have lovely homes along the Pearl River, a city waterfront and a plan to stop flooding. 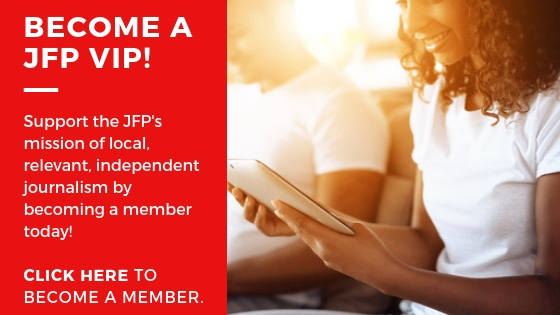 Opposition, though, is growing to the plan with a steady stream of e-mails coming into the JFP. "The condition we are creating on the river does not allow it to flow and spread as a river needs to do. You simply cannot force this river to forgive unnatural design without it exerting its own strength," wrote one reader. Stay tuned on this one. … PAY FOR PLAY: WLBT-TV was fingered this month by Sen. John McCain, R-N.M., for selling on-air interviews, referred to as "pay for play" (and in the newspaper biz we call it "buying editorial;" it's unethical) when he asked the FCC to check into such practices. The Washington Post reported that WLBT charged guests $500 a week or $2,000 a month to be interviewed by a news anchor on "Midday Mississippi." WLBT told The Associated Press that the practice was discontinued several months ago, although two paid sponsored segments still appear. … MORE PERCEPTION: WLBT reported that Golf World closed Oct. 4 after 30 years in business due to the perception of out-of-control crime in the area. Owner Jamie Butler told the Northside Sun: "I have never been broken into or anything like that, but I have found that there is a perception of crime in this area, but crime is everywhere." ... HEADLINE O' THE WEEK: "Hinds to replace broken security gate at penal farm" (The Clarion-Ledger, Nov. 10).